Paperback, 9 x 11.5 in. / 236 pgs / 243 color / 112 bw. Edited with text by Wouter Davidts. Text by David Anfam, John Welchman, Merel van Tilburg, Raphaël Pirenne, Anna Dezeuze, Maarten Liefooghe, Jo Applin. Interviews by Ronny Delrue. Considered one of the foremost Belgian artists, Philippe Vandenberg (1952–2009) was a prolific painter whose oeuvre features a series of radical stylistic and thematic shifts, reflecting an existential philosophy both in his restless personal trajectory and his responses to varying sociocultural changes. 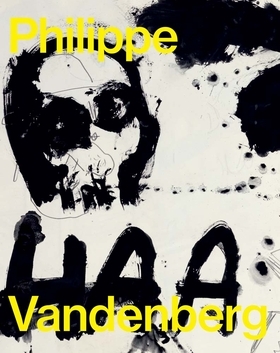 Using image, word and symbol, Vandenberg challenged the ethical context of the work of art, wrestling with universal themes such as war, religion, movement, sexuality and death. This monograph includes an introduction from the book’s editor, Wouter Davidts; a text from David Anfam, Senior Consulting Curator at the Clyfford Still Museum; and an interview between the artist and his contemporary Ronny Delrue. Also included are transcriptions of a seminar focused on the artist’s work held in 2016 at his former atelier. Foreword by Mary Doyle. Text by Jo Applin. FORMAT: Pbk, 9 x 11.5 in. / 236 pgs / 243 color / 112 b&w.